The Brandstrom Instruments BI-SC1001 Solenoid Controller is the easy-to-use, versatile plug-and-play solution for your laboratory rotary solenoid controlling needs. 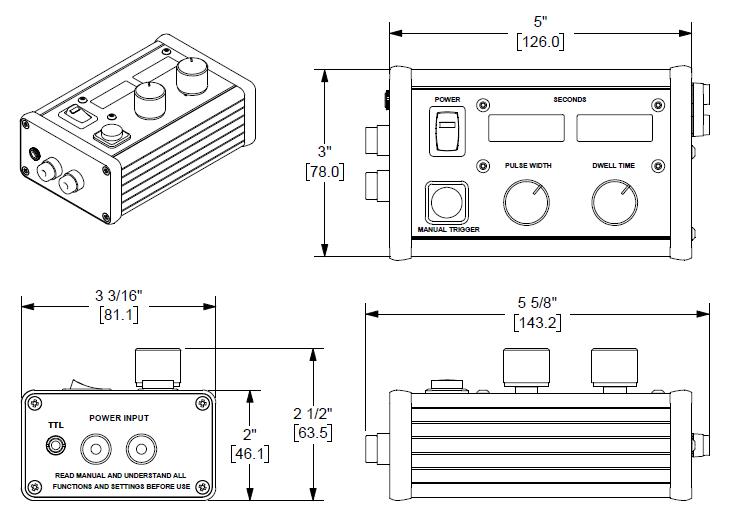 Simply connect to your Brandstrom Instruments rotary solenoid device (optical shutter, filter changer, etc.) 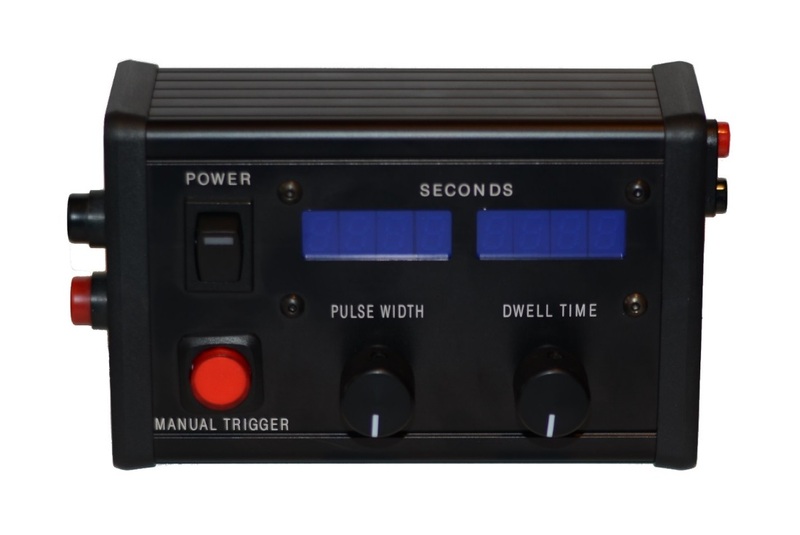 and to your power supply, set the operating mode (bi-stable or self-restoring), dial in your desired pulse width and dwell time settings and you are up and running. Manually trigger single output pulses at-will or let the unit cycle them at your desired settings. Alternatively, connect to your PC and remotely control your rotary solenoid device through TTL serial communication. Remotely trigger single output pulses at-will or program in and run a cycling output sequence to your desired settings. Dimensions above in inches [millimeters].